Greensgrow Farms copes with the recent loss of its founding farmer, a gentrifying neighborhood, and a changing landscape for good food. At Philadelphia’s Greensgrow Farms, the signs of the busy summer season are everywhere. Marking its 20th anniversary this year, the nonprofit urban farm is overflowing with colorful perennials and organic veggie starts. Twice a week, the more than 650 members of the farm’s city-supported agriculture program (CSA) converge on the farms three sites to pick up a box of hyper-local food. Two decades in, Greensgrow’s leaders have much to celebrate. But they also have a lot to consider. The presence of the farm has helped gentrify its surrounding working-class neighborhood, a problem common to cities around the country. 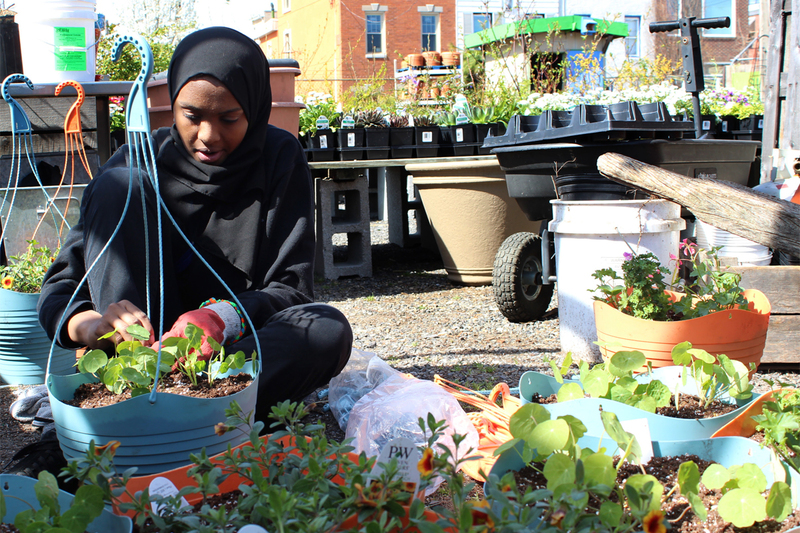 As Philadelphia’s good-food landscape has expanded, Greensgrow faces competitors ranging from supermarkets stocking more local and organic foods to other urban farms in Philly to meal-kit delivery services like Blue Apron or Purple Carrot. Perhaps the biggest challenge for Greensgrow is the loss of its founder and “chief farmhand,” Mary Seton Corboy, who died in August 2016 after a long battle with cancer. Now, the farmers are faced with issues that could impact its long-term survival, such as how should Greensgrow carry on Corboy’s vision, support its changing neighborhood and evolve into more of a year-round operation. To begin to answer these questions, Greensgrow turned to a familiar face—Ryan Kuck, a Tennessee native who originally came to Philadelphia to study architecture and urban studies at the University of Pennsylvania. But after Mary’s passing, and after reflecting on his deep connections to the people and projects at Greensgrow, Kuck agreed to take the reins of the organization. And a year later, Corboy still looms large over daily operations for the farm and its 40 employees—a poster-sized photo of her hangs in Kuck’s office, with the caption: “WWMD” (What Would Mary Do?). It’s a question that both inspires—and sometimes vexes—Kuck, who now must sort through everything from basic accounting practices to larger questions of Greensgrow’s direction for the next 20 years and beyond. Wanting to build on Corboy’s legacy in a transparent way, Kuck has begun convening a weekly staff study group for long-term planning. Where Corboy fought the battle to establish the very idea of an urban farm, Kuck faces the equally tough challenge of evolving it. “How do we grow the pie instead of fighting over it, and create opportunities for our farmers and our customers to keep greening their neighborhoods?” he asked. Greensgrow started small as a hydroponic farm in an unlikely location—a block-sized former brownfield in a fraying blue-collar ward that saw its fortunes dip as area factories shuttered. Over the years, it has become a major destination. However, the farm wasn’t an instant hit with its closest neighbors, who didn’t get its mission at first, according to Jerry Naples, Jr., a founding board member. He recalls having to go to neighborhood bars in the early years to “buy back” tools that were stolen the previous night when someone climbed over the chain link fence. Kuck wants to honor Corboy’s commitment to Kensington, which over the past decade has begun to gentrify, with homes now selling there for $500,000 and up. In late 2016, Greensgrow created Mary’s Community Fund, which gives $1,000 grants to individuals and organizations for neighborhood greening, a cause also dear to Kuck. Greensgrow also operates its own community kitchen at the nearby St. Michael’s Lutheran Church, where it offers culinary classes, produces a line of prepared foods, and rents out space by the hour to food entrepreneurs. As the farm has grown, it has expanded its offerings. Greensgrow raises some hydroponic lettuces on-site, as well as a line of organic veggie starts, and it produces its own “Honey from the Hood” from nearly a dozen beehives. In addition to produce and dairy products, it also sells unique items like “Harvest from the Hood” beer and locally made pierogies—all sourced from farmers and purveyors within 150 miles. At the same time, an increased interest in local foods means the farm now competes with a wide range of rivals invoking the fresh, local mantra. These range from other urban farms, CSAs, and seasonal, neighborhood-based farmers’ markets to traditional supermarkets, public markets and community-based co-ops to grocery and online meal services—all of which are vying for the same customer base. Greensgrow isn’t the first urban farm in Philadelphia, and many others have taken root over the past 20 years, including the farm at Bartram’s Garden, the nation’s oldest botanic garden; Nice Roots Farm, which started in 2009 as an project of the SHARE Food Program; and Heritage Farm, a four-acre plot that begin in 2011 to provide food and food-growing training to Methodist Service’s clients. Some of these urban peers also offer direct-to-neighborhood sales and/or CSA programs, helping to spur Greensgrow’s need to expand its offerings. Hosting events offers one avenue for growth—the farm held nine weddings last year—but doing so would probably require an investment in more covered spaces on the property. In June, Greensgrow celebrated its milestone year with “A Taste of Kensington,” a major fundraiser to support that growth. As Kuck and his team work on a blueprint for the future, the day-to-day is much as Corboy envisioned. The farmstand’s displays overflow with the bounty of East Coast tomato season—beefsteaks and slicers from farmer partners, as well as Greensgrow’s heirloom and multi-color cherry varieties. Fall mums have arrived at the garden center, and you can sign up for workshops on gluten-free Jewish baking or how to extend the season for your own community garden plot. A little farther ahead on the calendar, there’s a farm dinner at Greensgrow’s West Philly location, chili and apple pie competitions, and the annual fall festival. WWMD? Mary would likely approve.